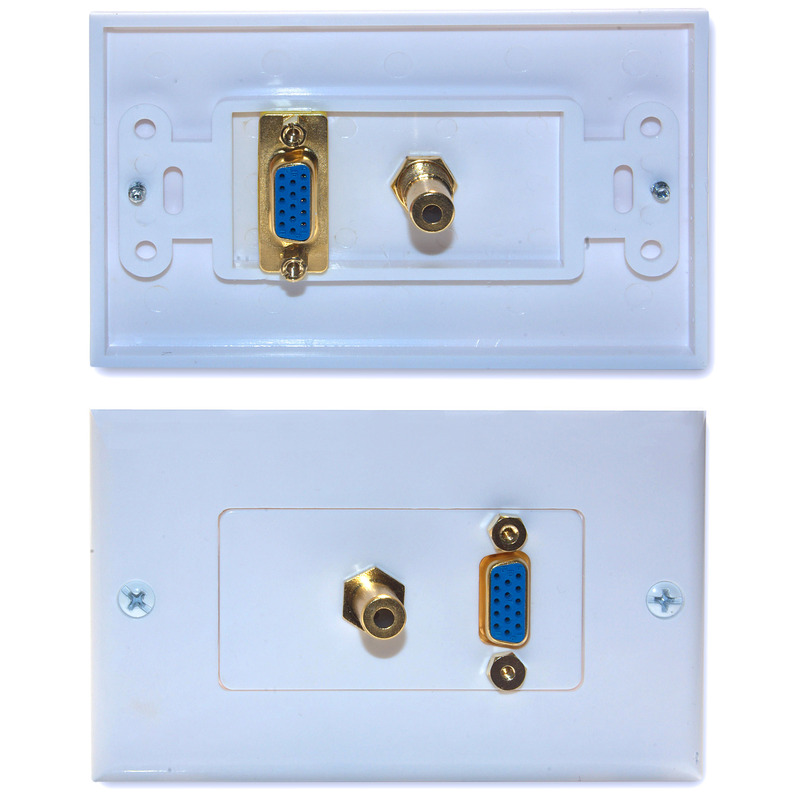 Integrate your PC into your living room entertainment system with this VGA and 3.5 Stereo Wall Plate. Also many of the new HDTV's come with a VGA PC input port located in the back. A slim compact housing offers easy professional installation.